A selection of electronic wallpaper files featuring a collage of the art from Vampire 20th Anniversary: The Dark Ages. Thirteen vampire clans, and nineteen bloodlines. All three castes of the dying Salubri: the Warriors, the Watchers, and the Healers. Bloodlines from every edition of Vampire, and from all over the known world. A new approach to Tzimisce Koldunic Sorcery. An “apocrypha of the clans” featuring fiction, lore, Roads, and alternative castes within the clans of Caine. A complete game in one book, which does not require the Vampire 20th Anniversary Edition. New full color original art by Mark Kelly, Kieran Yanner, Brian Syme, Andrew Trabbold, and other fantastic artists, as well as a handful of classic B&W pieces carefully chosen from the earlier editions. 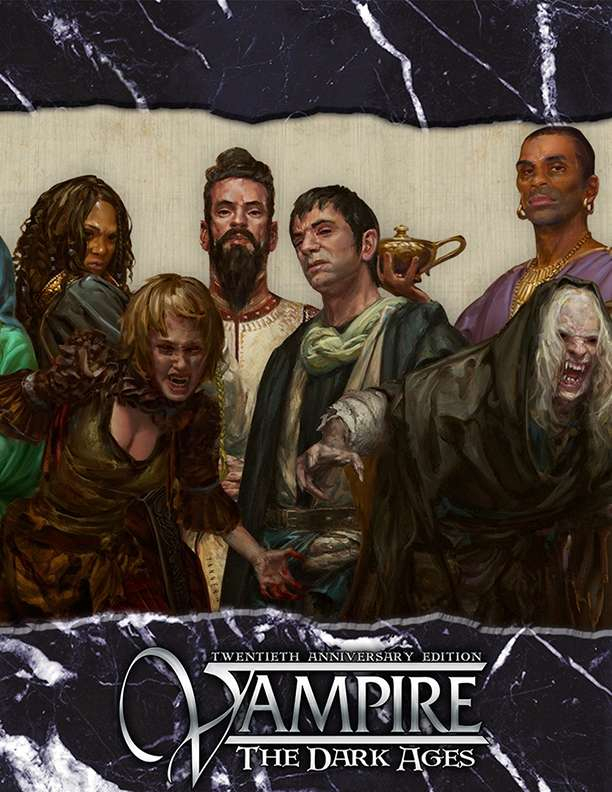 Vampire 20th Anniversary: The Dark Ages will be available soon here at DriveThruRPG.com!